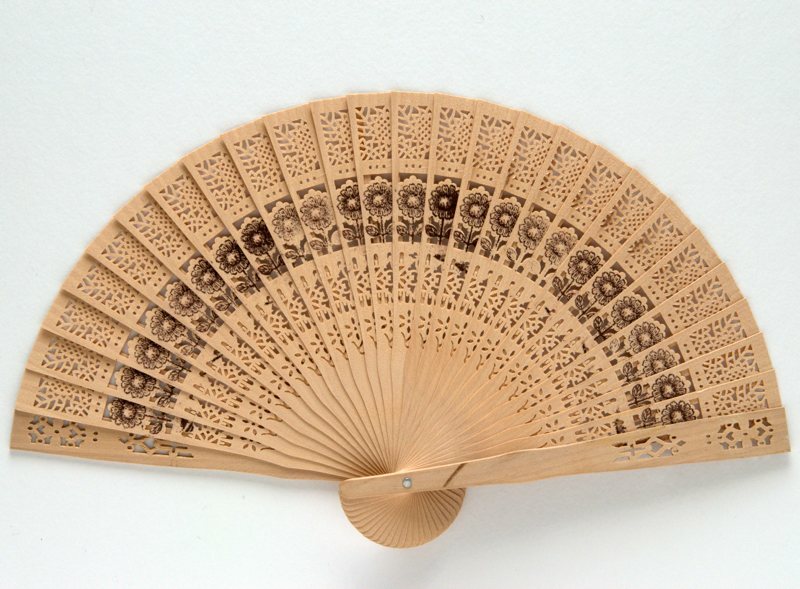 These fans are handmade in Bali, where fans traditionally have been a means to cope with its beautiful tropical weather. To the Balinese it has also always been an object of art, often featured in traditional dances and dress. These fans are made under Fair Trade conditions with the purpose of sustainably preserving and promoting the traditional arts and crafts. 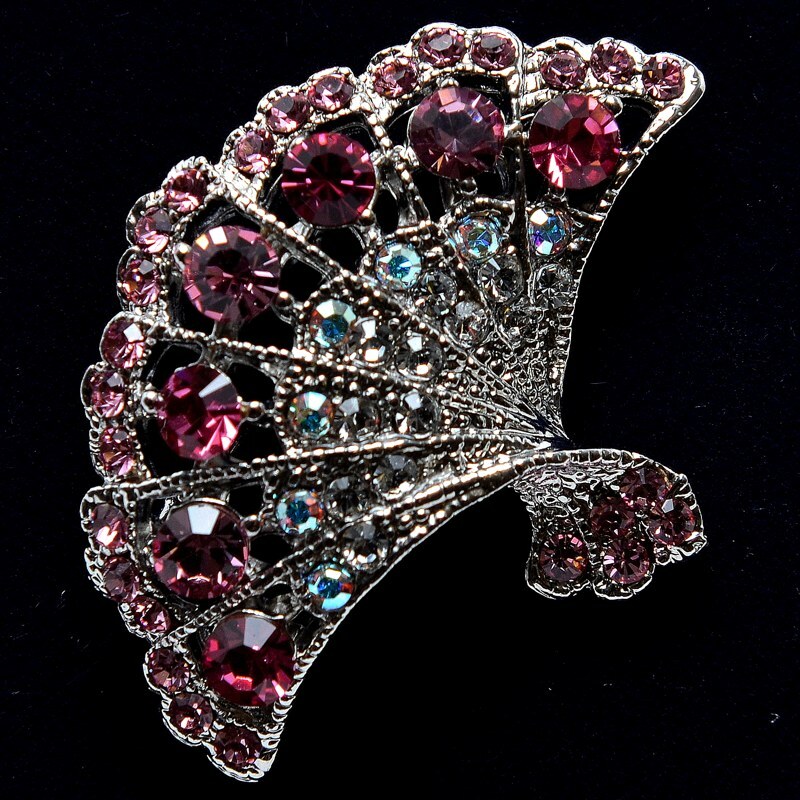 The earliest brisé fans were found in China and Japan. 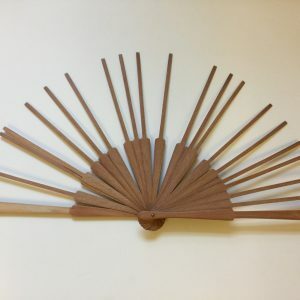 Today it is one of the most popular types of fan, made only of decorative sticks without a leaf. The term brisé comes from the word broken in French. The sticks are typically carved or pierced and held together by a ribbon glued to each stick or threaded through pierced openings. 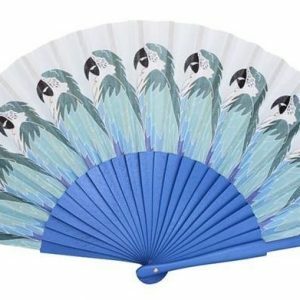 This delicately design little fan is a perfect light-weight fan to carry around on the go or for cooling yourself as you relax by the water. 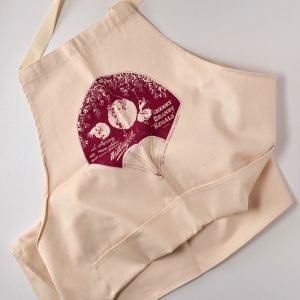 The beautifully intricate pierced design and printed flower are identical on both sides.